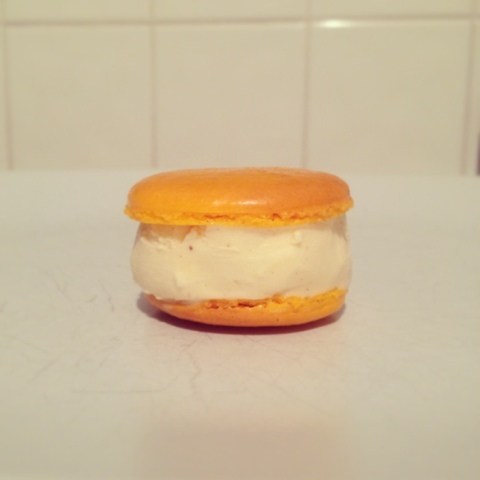 Ok so you've seen macarons and ice cream cookie sandwiches - now macaron ice cream sandwiches!! Imagine all the colours and ice cream flavours!! So I had to try these for myself and trust me, they are not disappointing! 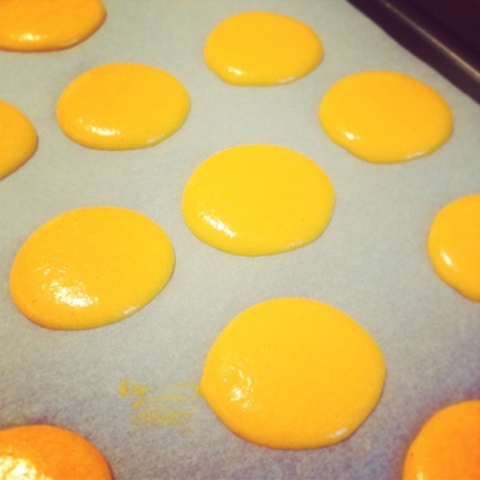 Firstly make your macarons - you could make them bigger than normal but I stuck to the regular size here. Let them cool completely then add the ice cream of your choice! I tried to 'shape' mine first and then smoothed the edges a little with a spoon! I cannot wait to try other flavour combinations, thinking mint choc chip next! I really suggest trying these little beauties! Maybe next time you are making some, do a few extra to try with ice cream! Aww these are so beautiful, I've always wanted to try making macaroons but always worried they will be a complete disaster and be a very odd shape. But maybe ill try them now! My favourite blogger by far! Oh Betty that's so nice if you! Totally made my day thank you! !